Christmas Wishes For Husband : Though the relationship between husband and wife is too romantic but during special days they try to express their special attraction to each other. Wife always wants to say something sweet in a special way to her husband. But most often they might be wondering what she can tell her husband on this Christmas. 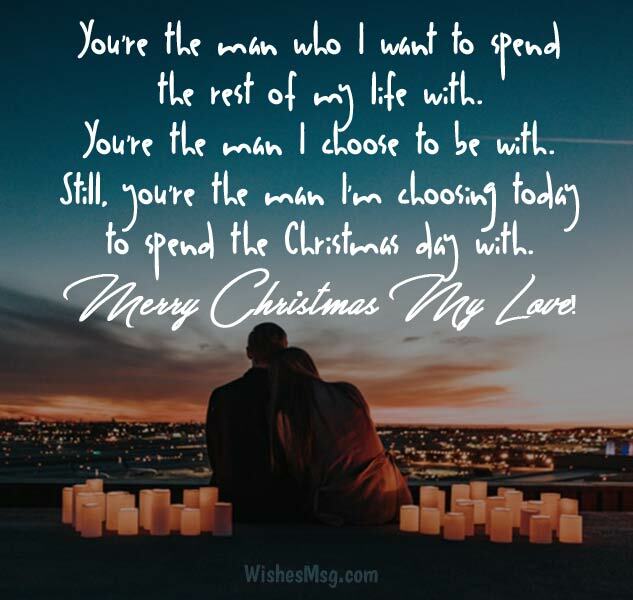 So, don’t be too upset cause our experts already compiled this post about Christmas wishes messages for husband along with romantic, sweet and funny greetings that could be fit with your thoughts. 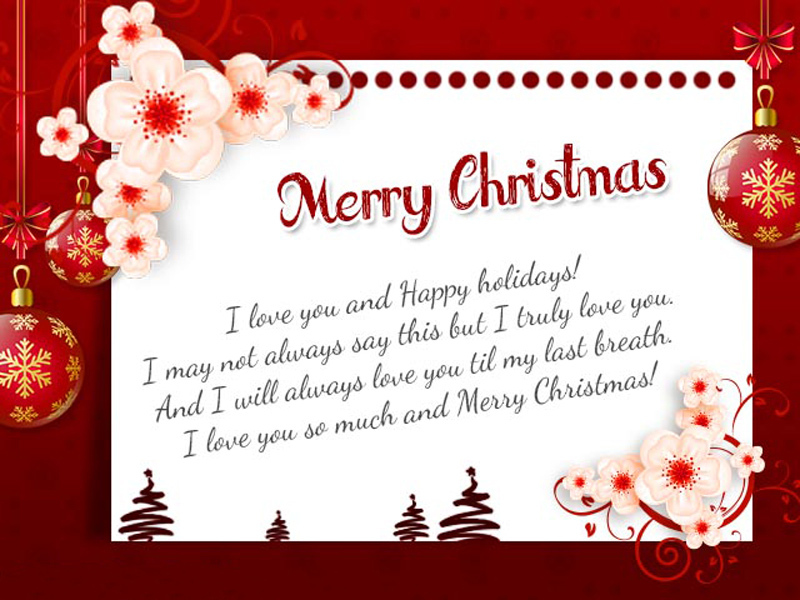 To make your husband happier you may send Christmas love messages on a beautiful card, also you may share your Christmas wishes on your social app timeline like Facebook, WhatsApp, Instagram, Twitter etc. God has been too kind to me for sending you to my life. Now everything I do is all for keeping you forever into my life. Merry Christmas! You are the best husband in the world and the best friend in my life. My Christmas dreams are unfulfilled without you! The loveliest part of a Christmas morning is waking up and getting kissed in the forehead by you. I love the way you always make me feel special! Having you in my life is the best I could ever wish for. You make my Christmases beautiful, bright and blissful. Merry Christmas! A caring husband, a sweet family and a beautiful home, I already have everything I could wish for. 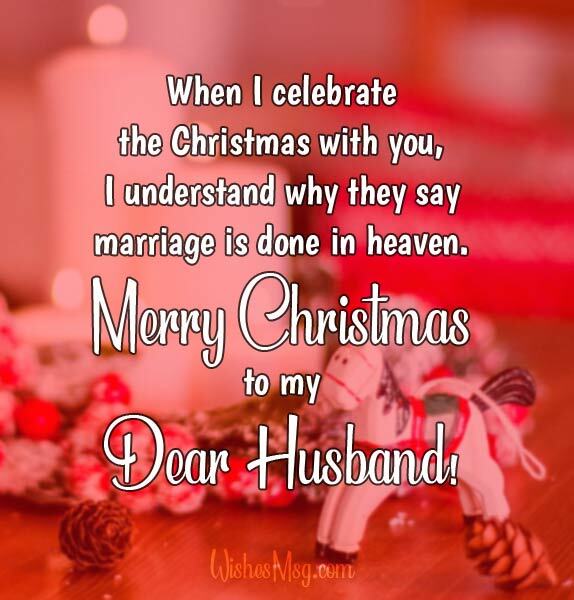 So, I’m wishing Merry Christmas to my Husband! Every Christmas we had in our life made our love stronger. I love Christmas because it keeps You home 24/7. Merry Christmas! The perfect husband may not exist but a husband who can love perfectly does exist. You are the example of it. Merry Christmas! True love never disappoints. Just like it didn’t disappoint me ever. I have got the best husband and the best parent for my children. Merry Christmas! Your happiness is what matters to me the most. I’ll make sure that you have the best Christmas of your life this year. Merry Christmas! You have loved me, supported me and took care of me not just as a husband, but as a guardian. My love for you will always grow stronger! Merry Christmas! Holding your hands makes me feel secure. Feeling your love makes me feel loved, Seeing your face makes me feel blessed. I love you and Merry Christmas! A life without you is meaningless. Good thing I found and fell in love with you. Luckily, you did the same thing to me. Merry Christmas My Love! I have loved you, I do love you, and I always will love you. That’s a gift that you can count on for Christmas and every day! You are not just my husband; you are the reason for my existence. You are not just my soul mate; you are also my best friend. On the occasion of Christmas, I pray to God to bless your life with success, prosperity and happiness. I have been so blessed to know the love of a husband like you and to be able to celebrate the true meaning of Christmas with someone that believes. Merry Christmas! My love for you grows each and every day as I’m with you. May our family be blessed on this special occasion. Merry Christmas Honey! I’ll never regret the day that I met and fell in love with you, not even a single second. I wish that we will stay happy together every day with the family that we dearly love. Merry Christmas Honey! 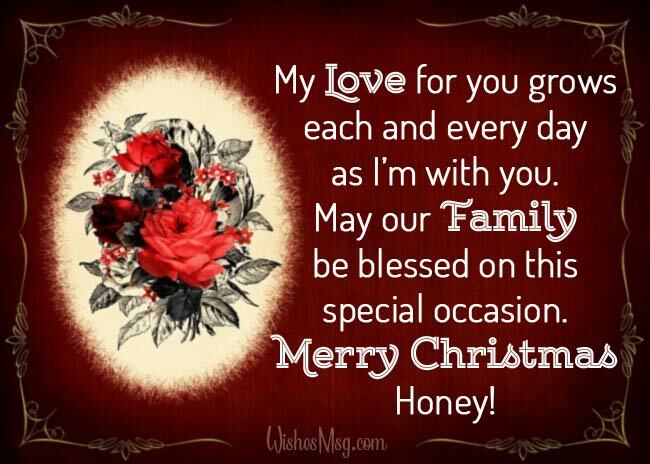 For a husband sweeter than honey and lovely as love, I send Merry Christmas greetings and lots of love this Christmas. I wish you celebrate this spirit of festivity with splendid celebrations, my love. For every day that we’re together, you just make me fall in love with you more and more. Merry Christmas Honey! I have been so blessed in life to have someone like you to share my life with, Thank you, my wonderful hubby, for giving me so many memories in life and making me feel so loved in life. Merry Christmas! Christmas is the birthday of over savior. The Lord has given me you as my husband and I feel the promise of God. Merry Christmas to the best husband in the world! My Christmas has become true Christmas after you joined in my life as partner Merry Christmas Honey! Let’s welcome the year which is fresh and new, Let’s cherish each moment it beholds, Let’s celebrate this blissful New year. Merry X-mas! When I think of you and what you have done in my life, my heart is filled with love. This holiday season, I want you to know that I really appreciate you and all that you are to me. Merry Christmas To My Wonderful Husband! Christmas always brings fantastic moments and tons of wonderful memories. Spending those special times with you are the moments that make my life and my holiday even more glorious! Merry Christmas! This Christmas I want to wish for your continued happiness and good health. I am so blessed to have you here by my side. Merry Christmas! 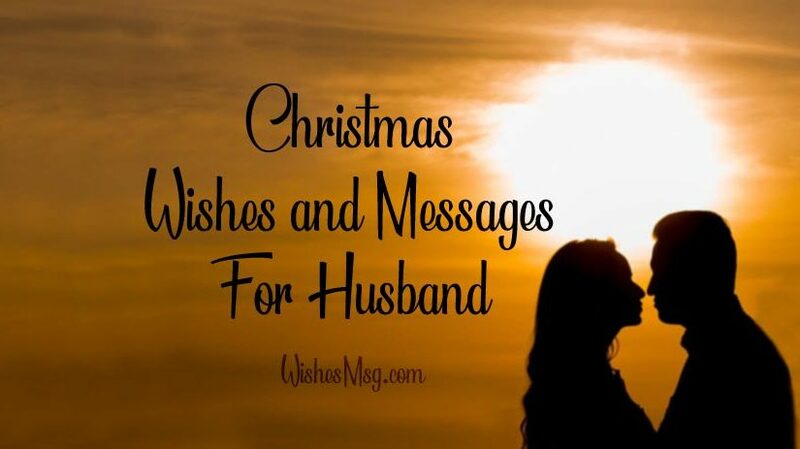 It seems you have finished reading all these romantic Christmas messages for husband and it is sure when your husband will receive it, he will think it is a Christmas gift.